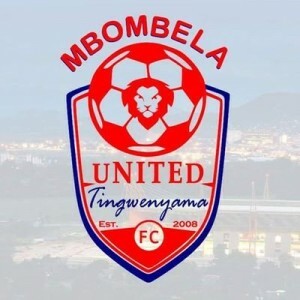 NELSPRUIT – MPUMALANGA sides- Mbombela United, TS Galaxy and Witbank Spurs- will seek to progress further in the Nedbank Cup as South Africa’s premier cup competition resumes at the last 16 stage. The National First Division campaigners will be in action this week with Mbombela away to fellow second-tier side, Cape Town Umoya, at Athlone on Friday. On Sunday, TS Galaxy visit fellow first division campaigners, Jomo Cosmos, at Makhulong. Spurs host Premiership outfit, Golden Arrows, at Puma Stadium. To progress to the last 16, Mbombela beat NC Professionals 2-1. Galaxy knocked Umvoti out with a 3-1 win while Spurs dismissed Premiership campaigners, Maritzburg United 3-2 on penalties. The trio will be eager to emulate now-defunct provincial team, Mpumalanga Black Aces, whose giant-killing acts saw them reach the final of the inaugural edition in 2008, but lost 1-0 to Mamelodi Sundowns. Elsewhere, across the country, 2011 beaten finalists, Black Leopards, host 2010 champions, Bidvest Wits, at the hostile Thohoyandou Stadium in Limpopo on Wednesday. Bloemfontein Celtic welcome first division outfit, Richards Bay, at Free State Stadium. Chippa United will entertain Tshakhuma FC at Nelson Mandela Bay Stadium on Saturday. Crowd pullers, Kaizer Chiefs, will on Sunday play at the same venue away to third tier side, The Magic. Chiefs must be wary of counting on their pedigree, as they only needed an own goal in extra time against another third tier team, Tornado FC, in the last 32.